At Cody Chiropractic Wellness Center, quality care is our number one concern. Dr. Cody offers his patients a wealth of information on chiropractic conditions and work with them to design a plan of care that fits their needs. 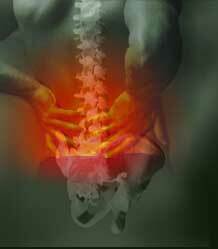 Cody Chiropractic is conveniently located in Sauk Prairie. Cody Chiropractic's services in Prairie du Sac include back and neck adjustments using manual and activator techniques, nervous system scanning, nutritional counseling, therapeutic exercises, pediatric chiropractic care, wellness coaching, and stress reduction. This website is just one of the ways Dr. Cody will work with you to ensure that you understand your condition and are comfortable and satisfied with the care you'll receive. Our site offers useful tips about wellness and information about the types of treatments we offer. We hope that you will find it helpful. If you have any questions regarding the information on this site, or if you want to schedule an appointment, just give us a call at 608-643-5060. We'd be happy to help you find your way to better health and well being through high-quality chiropractic care.